Small Parking Lot in the rear and street parking surrounding the shop. Enter through our red door on Sepulveda Blvd. 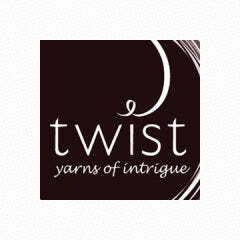 A boutique yarn shop for knitter’s looking for unexpected delights… At Twist you will find stunning Artisan yarns from around the world that are hand-spun, hand-dyed or kettle-dyed… Pure, natural, organic yarns without dyes or chemicals… and our exclusive Twist Yarns, found only at the shop. Looking for different? You’ll find it at Twist! North End: Fabulous Breakfast and Lunch as seen on Diners, Drive-ins and Dives! Two Guns: Best Coffee in town!